Congratulations to all of you who were engaged over the holidays! As you thinking about your wedding photography in the coming weeks, consider this: Images bare more weight on our lives when we can see and touch them in the real world. It’s kind of like why we still want to visit the museum, even though we can see all the art on the internet. When our clients task us with recording and commemorating some of the most important moments of their lives, we take that very seriously. We invest ourselves in the hope that the images we create for you will pay many fold, in the service of the many people, through the many generations that will see them. But we also know, that if the images we create are never made tangible, the positive impact they can have is seriously limited. And, as a photographer… that’s kind of a bummer. I think this is something most of us agree with. An image on paper in your hand, is different from one you see on your phone or computer screen. I posit that it is not just different, better. So for the rest of this Month, until February 1st, we’re going to upgrade everyone’s album for free. If you were thinking you didn’t need an album, I challenge you to get one with your wedding package now, while it’s free, and then tell me if it isn’t a better way to enjoy your wedding photos. 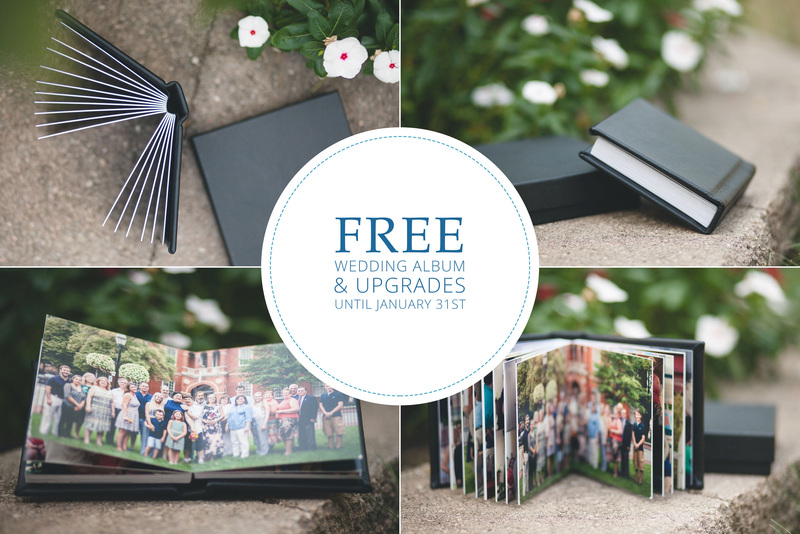 To Take advantage of this offer, simply book your wedding photography before February 1st, 2016 and we will include one of our 5×5″ Heirloom albums, custom designed locally here at Petruzzo Photography, for free! Requirements: Minimum 4 hours coverage required. Wedding date must be in 2016. Contract must be signed no later than 11:59pm, January 31st, 2016. May not be combined with any other offers. Rules subject to change without notice. Get your personalized wedding photography quote!